We have been MIA for awhile, but Mommy has a couple of posts she'd like to do in the next week or so, so she decided to let us post. I am doing well and putting on some weight. I'm a full 10 pounds of happy, healthy Mancat! My fur is still looking a little unhealthy and I was starting to get a few knots around my neck, so Mommy said I needed to go see the groomer. I was extremely nervous about that because the last time Bella went to the groomer she came back looking like this! Mommy assured me that she just wanted me to go in for a conditioning and skin treatment, so she packed me up and off we went to the pet place that Mommy loves - Canine and Co. on Sherbrooke St. W. in Montreal. I was completely unprepared for the fun I had! 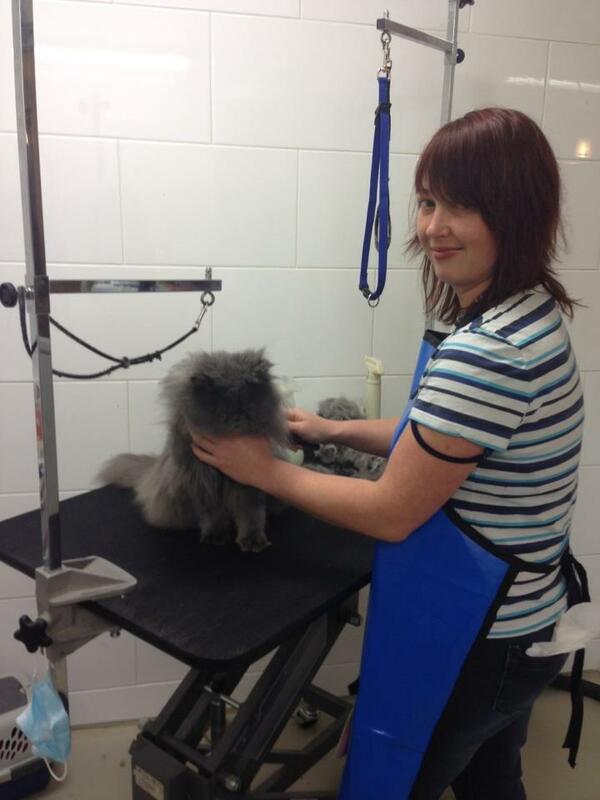 These girls treated me like a king and made my fur look luxurious and silky. I loved being brushed and rubbed. They thought I was cute too. 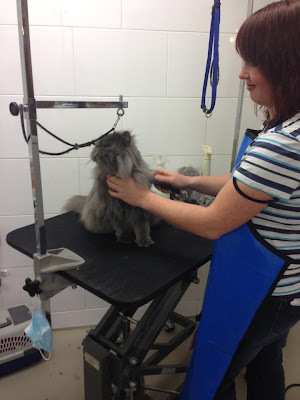 I would recommend this place to any cat in Montreal that wants their dry, winter skin treated. I can't wait to go back and the best part is that now that I'm all soft and fluffy looking, Bella is starting to see what a handsome Mancat I really am. Samson is going in next week so I hope HE doesn't get any cuter because Bella might start noticing him too!